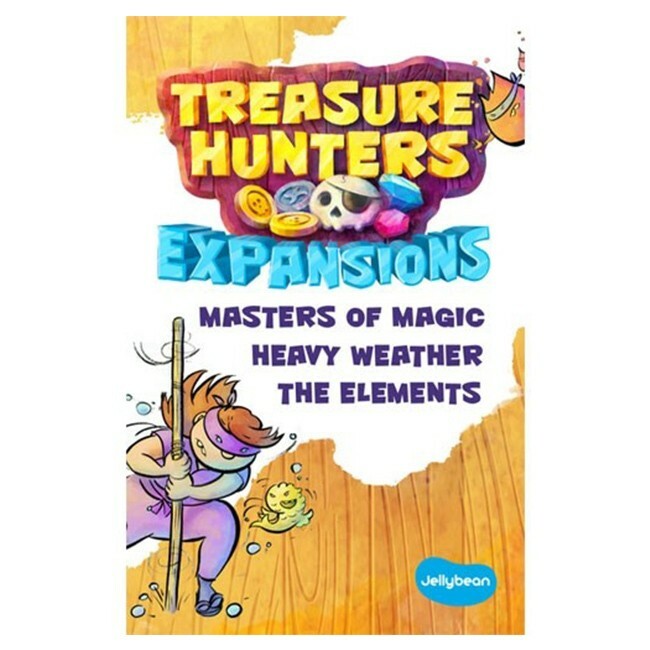 Treasure Hunters Expansions includes THREE expansions that can be included in any game of Scuttle! or Nin jitsu! Masters of Magic: An ancient grimoire has been uncovered, unleashing the secrets of elemental magic! The Elements: Each player chooses a unique ability. Harness the power of Earth, Fire, Wind, Water, or Heart! Heavy Weather: Shuffle the event cards into the deck, and reveal a new Weather card each time one reaches the top!